Why: If you or your partner gets sick, loses a job, or you divorce, you both need to know where your money is. More immediately: "Two heads are always better than one when it comes to money, even if one of you is less experienced," says Janet Bodnar, deputy editor of Kiplinger's Personal Finance magazine and author of Money Smart Women. You've probably already agreed that one of you is responsible for the daily money management (paying bills, keeping your bank account balanced). 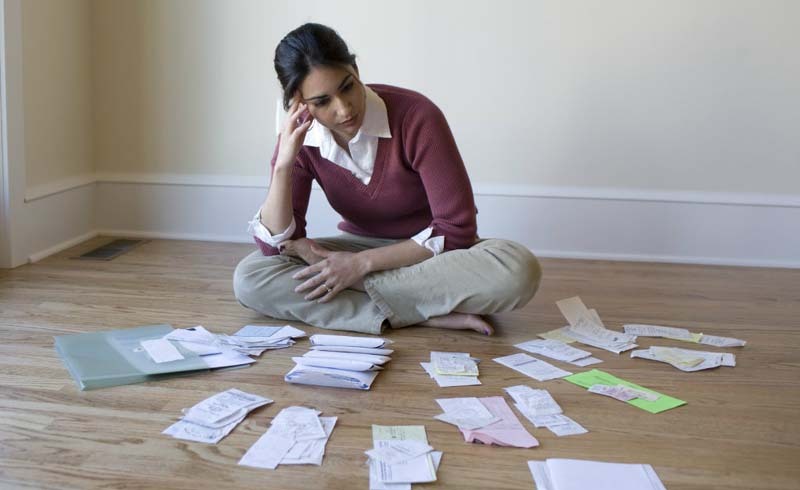 If you're the designated family bookkeeper, you're not alone: Sixty-two percent of moms balance the family checkbook and 54 percent are responsible for paying household bills, according to a 2007 survey by Oppenheimer Funds, a New York-based asset-management company. This is fine -- either of you can take the lead on money tasks -- as long as you keep each other up-to-date on your financial picture. What to do: It can take as little as 15 minutes a week to talk about how much you're spending and where. If nothing else, hand over the checkbook or print out a copy of your monthly budget (and how much you've spent) so you can each see where the money is going and make suggestions for change. Julie Miller, a mom of three in Portland, Oregon, recently started having twice-a-month financial sit-downs with her husband, Dave. "We realized I was doing the majority of the household spending but my husband was managing the overall budget. I wasn't seeing the monthly bank statements or paying the bills, so I would just spend until the debit card was declined," she says. Now he lets her know when their budget is heading into the red and she fills him in on what she needs to buy. Why: A joint checking account is a smart and easy way to pay for shared expenses like your mortgage, utilities, and childcare. This is true whether you and your husband pool your paychecks or each contribute a percentage of your earnings to "together" bills, or if only one of you has an income. After that, though, it's a good idea for each of you to have a small, separate account for your own, no-questions-asked spending money. This is especially important if you're a stay-at-home mom -- no one likes being on an "allowance" and having to constantly justify her spending to a working spouse. What to do: Pay yourselves that agreed-upon personal money every pay period. Just be sure to clarify what comes out of this cash: Are haircuts and lunches with friends "personal" or family expenses? What about gifts for each other? There's no right way to do this. It's up to you, as a couple, to decide. So if your husband can't live without those new golf clubs, no problem. And he can stop razzing you about your monthly manicures, since you're paying for them yourself. Voilà! Dozens of silly money squabbles are now history. Why: If you had a healthy credit history before you married, hang on to it. It's useful for joint purchases -- and if life throws a curveball and you need credit on your own. What to do: Always keep at least one credit card in your name. This account helps you maintain your own credit history and financial autonomy. Both are smart to have -- and that's still true if your husband has a stellar financial record. If your spouse has paid bills late in the past or maxed out credit cards, definitely don't add your name to those accounts or cosign with him on any new accounts. Doing so will ding your credit rating. "If you're planning to buy a big-ticket item like a car or home in both your names, though, take time to spiff up his accounts so you'll get the best possible interest rate," Bodnar says. Work together on paying down any old debt in his name and make sure current payments are always on time. Why: Anytime people are dependent on your income to pay for their living expenses -- that would be your darling kids -- you need insurance. Life insurance is intended to help pay for family living expenses until your children are 18 or on their own. Disability is another important, but often overlooked, form of insurance that provides money in case a working parent is ill or injured and unable to work. What to do: Both you and your spouse need life insurance -- no question about it. If you're staying at home, your life insurance wouldn't replace an income but it's just as important: If something happened to you, it could pay for necessary help like childcare or a housekeeper. There's no magic formula for how much you'll need, either; talk to a financial planner or insurance agent about what it would take to cover your important expenses. Look for level-term life insurance, which is relatively inexpensive. Avoid whole-life or cash-value insurance; it's not worth the extra money, since they invest your cash and there are better ways to do that. Search for term policies at sites like insure.com or accuquote.com. For disability insurance, check with your employer if you work outside the home. Companies often offer it at a reduced rate. Note: You don't need life insurance on your kids! No one's relying on them for income, and kiddie policies aren't a good way to invest for college (as they're sometimes marketed). Steer clear. Why: You can borrow for college -- but not for retirement. It might go against your protective parenting instinct, but worrying about how to pay for your child's college education before you and your husband have a solid retirement plan means you need to reorder your priorities, says Helga Cuthbert, a certified financial planner in Decatur, Georgia, and the mom of one. What to do: If you and your partner both work, you should aim to save 15 percent of your before-tax incomes in your workplace retirement plans (especially if the companies offer matching funds) or in a Roth IRA or personal IRA account, says Cuthbert. If that sounds like a lot of money, don't panic. Start with a smaller percentage and bump up your contributions when you get bonuses or raises. If you're a stay-at-home mom, you can also open a spousal IRA and contribute up to $4,000 a year to it. This account is a great way to increase your family's tax-advantaged savings. Start the college account once you're on track toward retirement and have paid off personal debts. Feel like the college fund won't happen in this lifetime? "Remember that once your kids are ready to go to college, you'll be in your prime earning years and better able to afford it," says Cuthbert. "Plus, if one of you has been staying home, you can go back to work to earn even more. You'll have lots of options for paying for college."